According to Carers Trust, more than 5.4 million people in England provide care for which they are not paid. They are usually supporting a loved one with disabilities, illness, mental health concerns or age-related needs. The latest Survey of Adult Carers in England showed that two-thirds of these carers provide over 35 hours of support each week, and more than one-third provide more than 100 hours of support each week. It is therefore not a surprise that many carers are struggling with their role. 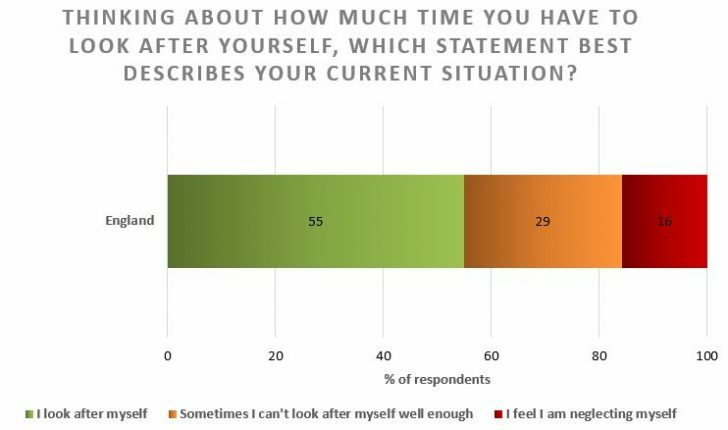 Some 16% report that they are neglecting themselves and 29% feel that they can’t look after themselves well enough. Despite this, more than one in five ‘known carers’ (unpaid carers who are known to local authorities’ Departments of Adult Social Care) in England did not receive any support from their local council in the past year. The long hours and lack of support faced by these carers increase the risk of them having to stop working (either temporarily or permanently) because of exhaustion or even a breakdown. If this occurs, alongside the distress of those affected, there can also be a substantial impact on demand for formal social care services. Three years ago, the enormous contribution unpaid carers make to society was recognised in the Care Act 2014. 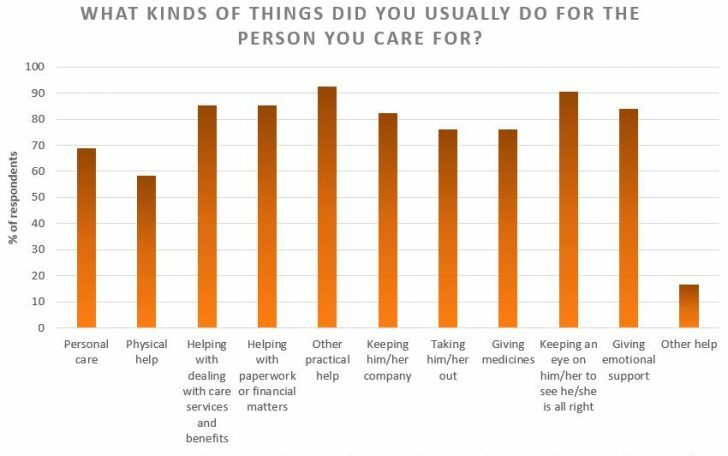 But despite this, carers have not received the support they deserve, as the following four charts show. Looking after a family member or friend can be hugely rewarding, but over half of unpaid carers are providing more than 35 hours of care a week – the same number of hours worked by many people in full time employment. 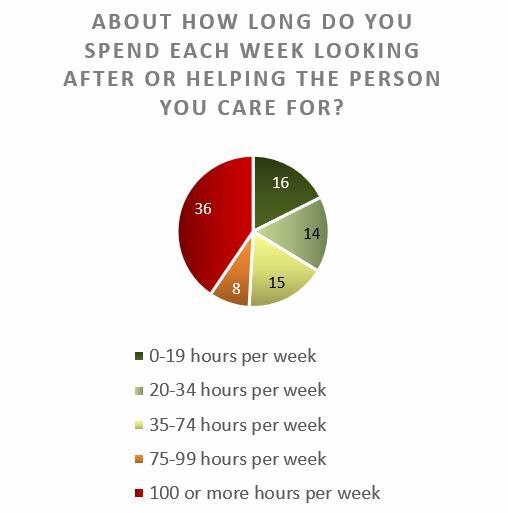 More than a third (36%) spend 100 or more hours a week providing unpaid care. Providing even moderate levels of care can have a significant impact on the carer’s life, especially if they are trying to combine it with work or bringing up a young family. Carers who spend a large number of hours caring for someone may have to give up their jobs, or suffer negative effects on their personal relationships or overall quality of life. Caring for someone can be demanding and can damage physical and mental health. In some cases it can lead to breakdown. Many carers prioritise the needs of their loved one over their own needs: just under half of all carers feel they are either neglecting themselves or not looking after themselves well enough. This could impact the quality of care they are able to provide and their ability to continue to provide it. Many people who care for a loved one do not receive any support from their council’s Adult Social Care Department, even though they are finding it difficult to look after themselves. According to the Survey of Adult Carers in England, 22% did not receive any support in the last year. It is worth noting that these figures only take into account those who self-identify as carers and are known to adult social care. We know that many people struggle to recognise themselves as carers and do not appear in these statistics. It is therefore important that when social care professionals meet carers, they help them to identify themselves, legitimise their needs and encourage them to accept support where required. 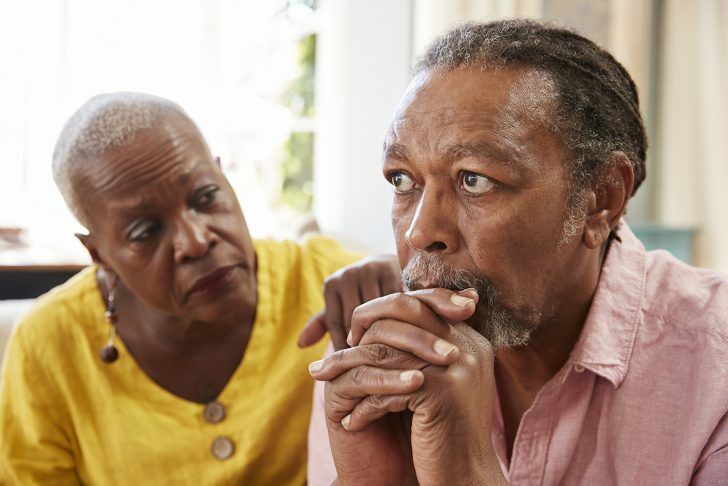 If carers experience some form of breakdown, not only is there clearly personal suffering, there are also consequences for formal adult social care services. Just under 70% of carers provide personal care for a loved one, and if they can no longer continue in their role, councils will need to step in. At the recent launch of Carers Week 2018, Minister of State for Care, Caroline Dinenage MP, recognised the invaluable contribution of carers and promised that the Carers Action Plan announced in November 2017 will be published soon. Carers have waited a long time to receive the support they need to maintain their wellbeing. 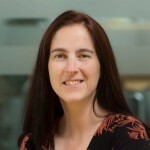 As part of efforts to reframe how they manage demand, Adult Social Care Departments need to consider how to prevent avoidable demand arising as a result of unpaid carers giving up their roles. With funding for adult social care already insufficient and demand rising, action must be taken to make life better for carers.